What should I do if my immigration application is refused? If your immigration application has been rejected by the immigration authorities, it is important to explore your appeal options immediately. This is because there are strict time limits on when an appeal can be submitted. An appeal to the Federal Court must be initiated within 15 days from the day the decision is received in writing in the case of an application refused from within Canada, and 60 days for a decision made at a visa office outside of Canada. “Received in writing” means that either the applicant or the applicant’s representative has received a written decision, whether that be by mail, fax, email or other means. The 15 or 60 days runs from the date the decision is actually received, not the day the decision is dated. Some cases should be appealed to the Immigration Appeal Division (IAD), and not to the Federal Court. 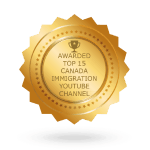 These are generally cases that involve Canadian permanent residents or citizens, such as sponsorship appeals and residency appeals. Most appeals to the IAD must be initiated within 30 days, except for residency appeals which should be initiated within 60 days of receipt of the decision. For citizenship refusals, an appeal to the Federal Court must be made within 30 days. Contact our office if you receive an immigration refusal and we can tell you which court you should be appealing to and within what timeframe. 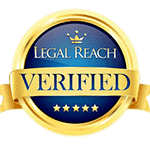 Our office can also assess your case and tell you our opinion of your appeal chances. Each case turns on its own facts and must be assessed individually to determine the chances of success. 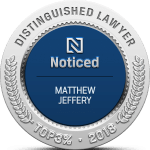 If we believe that you have a viable case, we can assist you with your appeal including filing the appeal on your behalf and representing you throughout the appeal process.